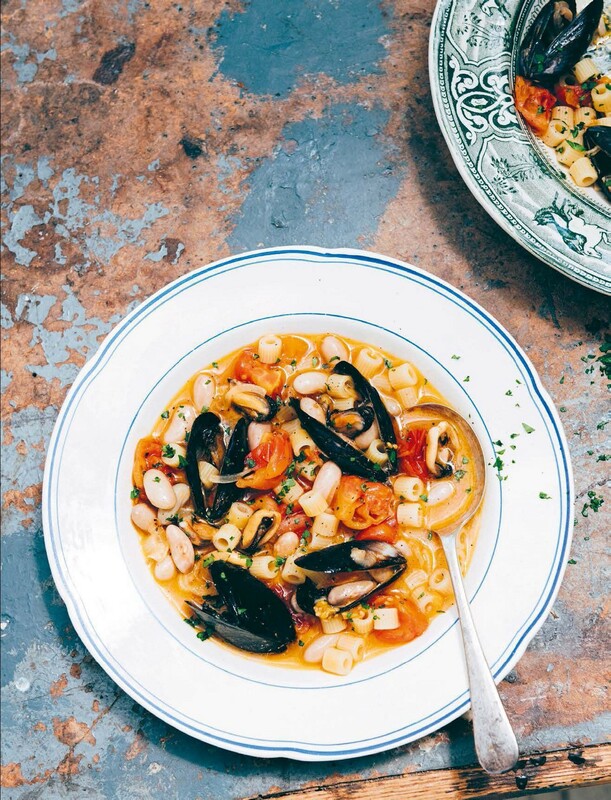 This is a delicious, hearty and always satisfying combination: plump mussels from Taranto’s port and earthy, creamy legumes in a flavourful, fragrant broth, and you can find it in all of Taranto’s typical trattorie. The brothy sauce makes this something halfway between a pasta and a soup, and it is always served with a spoon. Instead of borlotti (cranberry) beans, you can also use cannellini beans or even potatoes, peeled, diced into 1cm (½in) cubes and boiled together with the pasta. 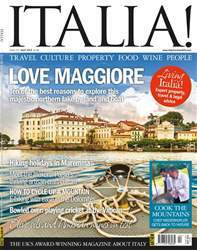 We have a splendid line-up of features to inspire your travels this month: our cover star Lake Maggiore has a wealth of stunning locations to explore, both around its shores and on the lake itself. If you like a good hike, our itinerary around the byways of a small corner of Maremma will defi nitely stretch your legs. For cricket fans we have the extraordinary tale of a most unlikely team – and they are really rather good! We have e-biking in the majestic Dolomites and we meet a 3-star chef there who’s really making a difference. And for culture vultures, we have the story of the rise, fall and rise again of Venice’s aptly-named La Fenice opera house. Bowled over… at the Vatican!